In 2000, the Library of Congress accepted the Lighted Dogwood Trail as a Local Legacy. The goal of the Local Legacy project was to document the creative arts, crafts, and customs representing community life across the nation. The Lighted Dogwood Trail is permanently documented in the Library's American Folklife Center collections. Members of Congress in every state submitted materials documenting nearly 1300 local customs and traditions. The Lighted Dogwood Trail was submitted by Rep. Ed Whitfield (1st District). Luxury Travel Magazine included Paducah Dogwood Trail's 50th Anniversary Celebration among top Spring Flower Festivals Across America in 2014. Birds & Blooms listed the Trail as one of the 8 Must-See Flower Festivals for 2018. Visit Paducah Dogwood Trail on Facebook. 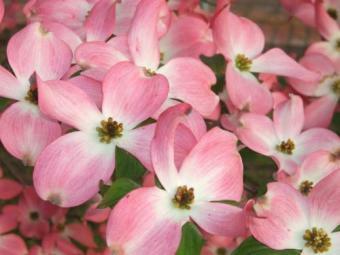 The 55th Annual Dogwood Trail began April 14. The trail features 11 miles of lighted dogwoods and spring plantings. While the trees are in bloom, there will be Dogwood Trail signs strategically located at each turn in the Trail. The tour showcases Dogwood, Japanese Maple, Red Bud, and Weeping Cherry trees as well as blooming garden areas and other flowering species. Signs will be placed in the yards of the winners. Wednesday, April 17: Winners announced with the placement of signs in the yards of the winners. Thursday, April 18: Annual Dogwood Trolley Ride. Meets at 6:30 p.m. at Paducah Area Transportation System (PATS) Office. 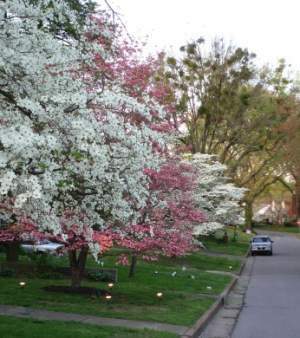 On Saturday, April 13, the Paducah Civic Beautification Board is encouraging local nurseries to create a special area devoted to dogwoods and offer sale prices. 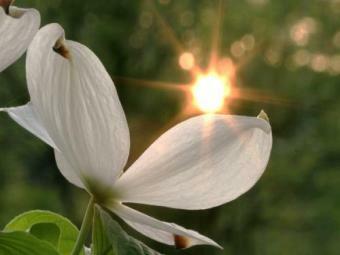 Visit your local nursery (Bloom N' Gardens, James Sanders Nursery, Lowe's (Hinkleville Road location), Montgomery Gardens, and Wahl's Landscape and Garden Shoppe) for new dogwoods and planting instructions. 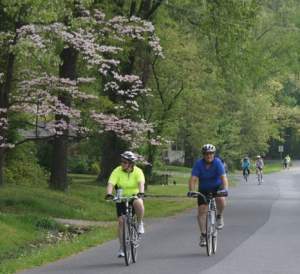 The annual Dogwood Trail Bike Ride and potluck is a not-to-be missed springtime adventure on bicycles. Meet at BikeWorld, 809 Joe Clifton Drive, at 2:30 p.m. on Sunday, April 14. Pedal along some of Paducah's beautiful streets through neighborhoods awakening to spring. The route is well signed, and BikeWorld staff are stationed along route to provide assistance. A community dinner/potluck will be held at BikeWorld after the ride. BikeWorld will provide the meat, bread, drinks, and tableware. Participants are encouraged to bring their favorite potluck side dishes and desserts. There is no charge to participate. In previous years, more than 250 cyclists rode the trail and returned to enjoy an afternoon of grilling and fellowshipping with other cyclists. Please wear a helmet. BikeWorld will have a follow vehicle. However, the pace is deliberately slow to enjoy the beauty of Paducah in spring. The entire route is 11 miles, but riders may turn back at any time, riding as little as just a block. Bicyclists do share streets with car traffic and are responsible for obeying traffic laws. Children should be accompanied by responsible adults. If you have a question, contact BikeWorld at 270-442-0751. 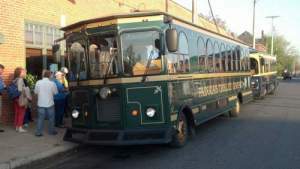 PATS (Paducah Area Transit System) will offer Dogwood Trail Trolley rides for $1 per person at dusk (approximately 6:30 p.m.) on Thursday, April 18. Come to the PATS station at 9th and Harrison Street (850 Harrison Street) to board the trolley. The Paducah Civic Beautification Board is sponsoring the Dogwood Art & Photography contest which is coordinated and judged by the Paducah School of Art & Design. This year the art and photography contest is one month later in order to allow everyone to photograph, draw, or paint dogwoods while they are in bloom. Also new this year is an award for door decorations and design. The winner will receive a cash award and a sign in the yard as well as a handpainted framed certificate. Entries for the Art & Photography Contest will be accepted April 22 through 24 from 10 a.m. until 4 p.m. at the Paducah School of Art & Design located at 905 Harrison Street. The first, second, and third place winners will be notified by April 30. All entries will be exhibited at the Paducah School of Art & Design from April 30 through May 10. The winners will be displayed at City Hall during the May 2 City Hall Unveiling Ceremony. While there is no entry fee, the subject of all entries must be dogwood trees and/or flowers. Artists may submit one entry per category, art and photography. Artwork must be in 2-D with all mediums accepted. Photographs can be any size. All entries must be framed and ready to hang with a wire or other hanging device already in place. Sawtooth hangers are prohibited. First place winners in each category will receive $100; second place will receive $50; and third place will receive $25. The artist agrees to allow the Dogwood Art & Photography Contest to photograph the loaned artwork for the purposes of documentation, research, publication, education, and/or publicity unless specifically prohibited from doing so by the artist in writing. Requests for purchase shall be directed to the artist. There will be a reception and awards for the Dogwood Trail Art & Photography Contest winners during the City Hall Unveiling Ceremony which will be May 2 at 4 p.m. at Paducah City Hall. The trail will honor American Troops by partnering with Boy Scouts Troop 1 and their flag fundraiser program. 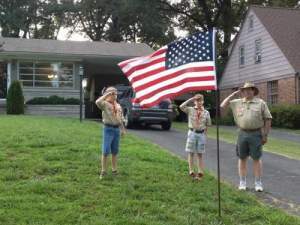 For anyone who participates in the Boy Scout Troop 1 flag program and agrees to spotlight the American flag, Troop 1 will place a flag in their yard on the first day of the official Dogwood Trail Celebration and members of Troop 1 will return to retire the flag later that week. For more information about Troop 1's flag fundraiser (which costs $50 for the Dogwood Trail week and six designated holidays), visit Flag Fundraiser. 2nd Place: Michael G. Smith "Solo Aglow"
3rd Place: James Long Jr. "Anticipation"
1st Place: Paul Grumley "Dogwood I"
2nd Place: Maria Korte "Dogwoods in Downtown"
3rd Place: Kelly Scarbrough "Spring's Beauty"
1st Place: Basil Drossos "Summer, Winter"
2nd Place: Phyllis Russell "Pretty in Pink"
3rd Place: Paul Grumley "Elegance"
1st Place: Frank Bennett "Along the Dogwood Trail"
2nd Place: Katherine English "Impressions of Spring"
3rd Place: Nancy Calcutt "Pink Dogwood"
2009: The trail event was cancelled due to tree damage and debris from the January 2009 ice storm. Guidelines: Each photo must contain an image of a dogwood. All entries should be prepared for exhibit (matted or framed in whatever fashion the artist chooses). Guidelines: Each painting must contain an image of a dogwood. Entry form should be attached to the back of each painting. Forms are available at the PAPA Gallery (Paducah Area Painters Alliance). All entries should be prepared for exhibit (matted or framed in whatever fashion the artist chooses). All sizes of artwork will be accepted. 1) Select a well-drained site with afternoon shade and plant a nursery grown tree. 2) Plant in late winter or early spring. 3) Dig planting hole twice the diameter of the rootball and at least 18 inches deep. 4) Refill hole to depth of rootball with loose soil Tap soil to provide a firm base for tree. 5) Place dogwood in hole, spread the roots, and pack soil around and over the roots. 7) Water weekly during dry periods. When watering, soak root area well. Do not drown trees planted in poorly drained soil.